The president uses the Antiquities Act to set aside 1.35M acres surrounding San Juan County's Cedar Mesa and 300,000 acres in southern Nevada. Francisco Kjolseth | The Salt Lake Tribune Lockhart Basin, seen south of the Colorado River. Al Hartmann | The Salt Lake Tribune Bears Ears formation rises above White Canyon along US Highway 95 near Natural Bridges National Monument in San Juan County. The formation is at the heart of the proposed Bears Ears national Monument. Utah Senator Orrin Hatch and Gov. Gary Herbert met with San Juan County residents and many members of the Native American tribes in the area over the proposed Bears Ears National Monument. The meeting was held at Natural Bridges National Monument Thursday June 2. Francisco Kjolseth | The Salt Lake Tribune Lockhart Basin, seen south of the Colorado River, falls within the boundary of the proposed Bears Ears region in southeastern Utah, which is subject to a possible National Monument designation by President Obama under the Antiquities Act for protection. EcoFlight recently flew journalists, tribal people and activists over the northern portion of the proposed 1.9 million acre site in an effort to push for permanent protection from impacts caused by resource extraction and high-impact public use. 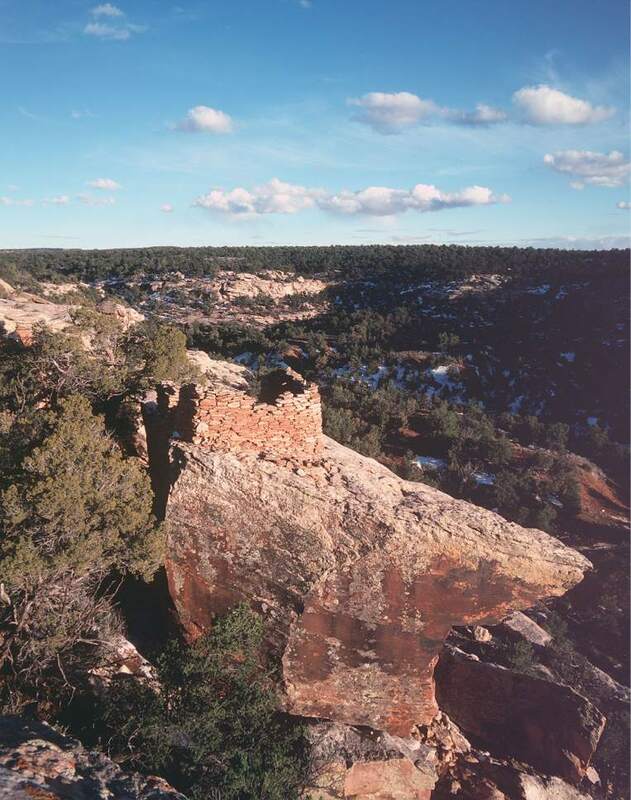 Al Hartmann | Tribune file photo An Anasazi tower ruin perches on the rim of a sandstone canyon in the Cedar Mesa area in San Juan County. The mesa is part of the Bears Ears National Monument. 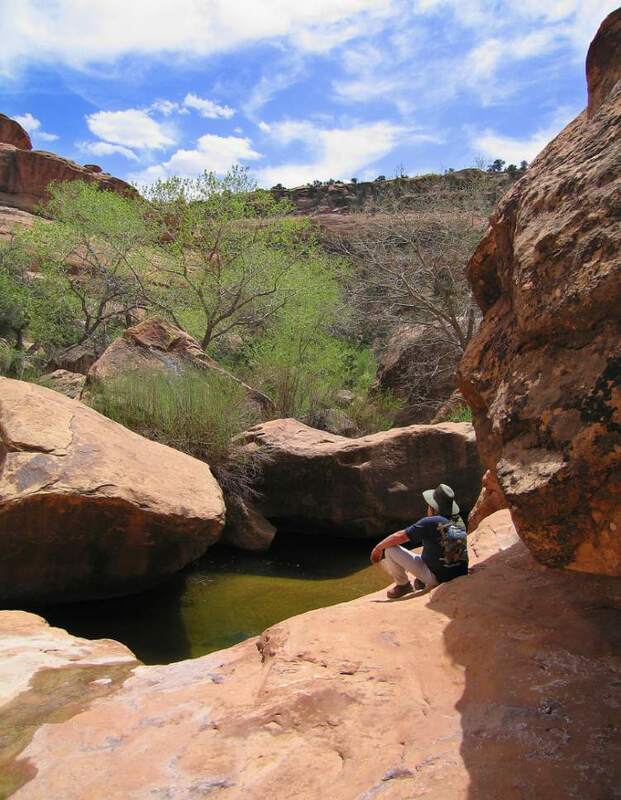 Al Hartmann | The Salt Lake Tribune Hiker finds some Spring solitude in one of dozens of sandstone canyons on Cedar Mesa in San Juan County. The area is included for a proposed Bears Ears National Monument. Al Hartmann | The Salt Lake Tribune Anasazi grinding rock under sandstone alcove in canyon along Elk Ridge west of Blanding in San Juan County. The area is included for a proposed Bears Ears National Monument. 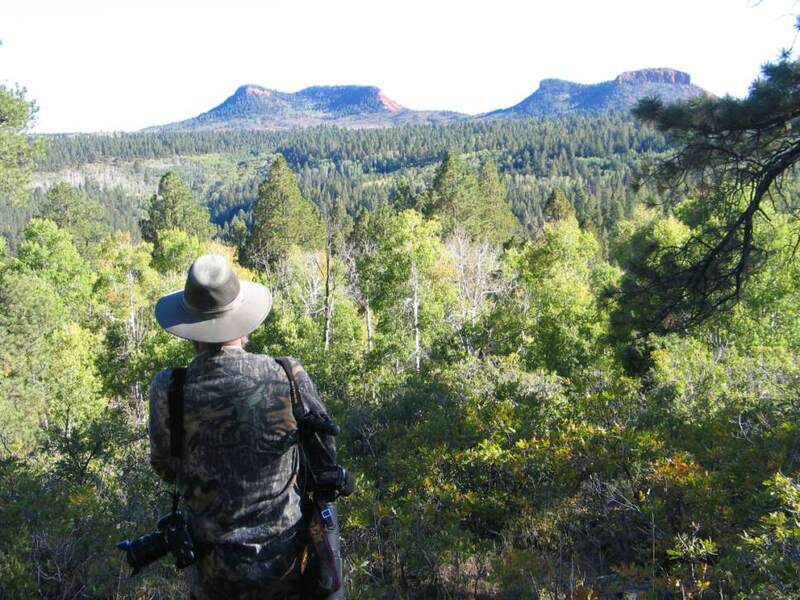 Al Hartmann | Tribune file photo A view across the forested high country of Elk Ridge with the Bears Ears formation in the distance. 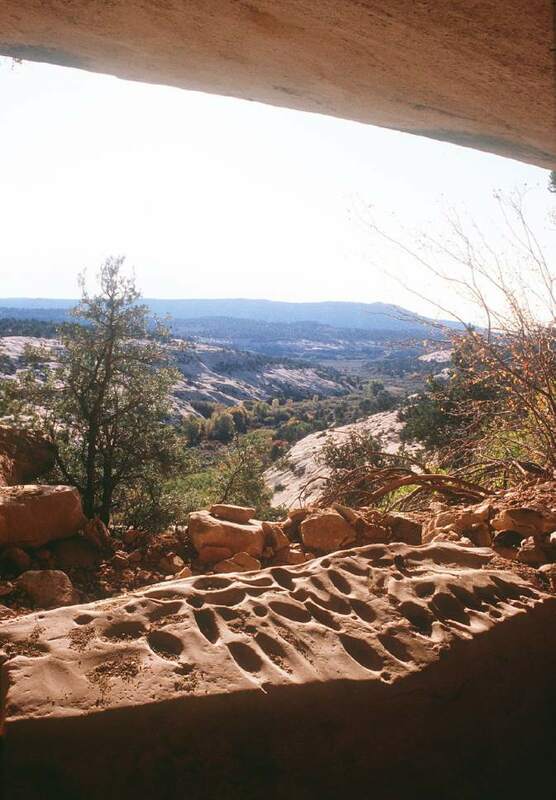 Authorities are investigating a suspicious fire at a remote Bureau of Land Management station in the Bears Ears National Monument. 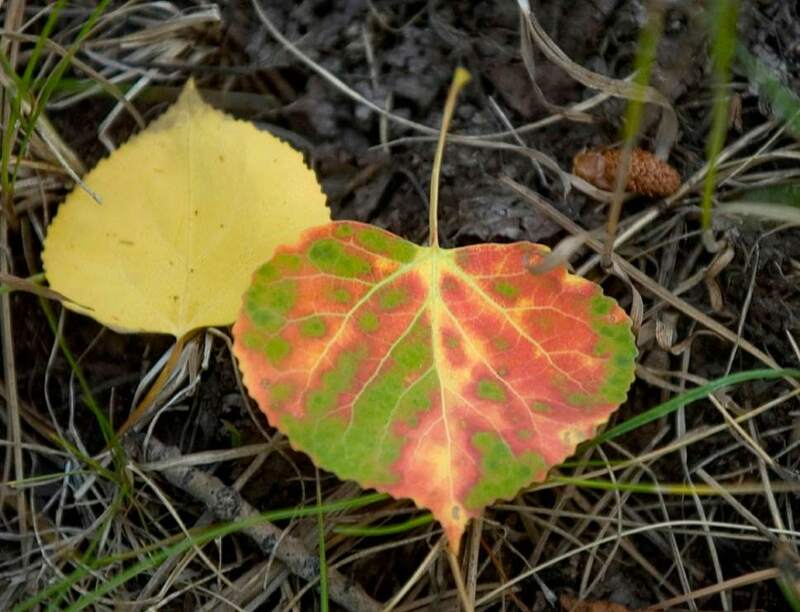 Al Hartmann | The Salt Lake Tribune Aspen leaves begin to turn color lying on the pine-needled forest in the high country of the proposed Bears Ears National Monument. Al Hartmann | The Salt Lake Tribune Backpacker explores a narrow section of a side canyon in White Canyon in San Juan County. The area is included for a proposed Bears Ears National Monument. 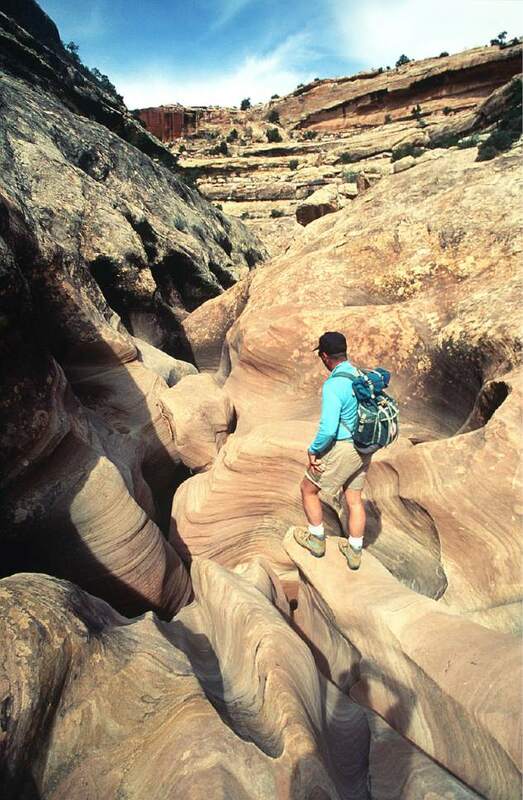 Al Hartmann | The Salt Lake Tribune Hiker decends into one of the dozens of sandstone canyons on Cedar Mesa in San Juan County. The area is included for a proposed Bears Ears National Monument. 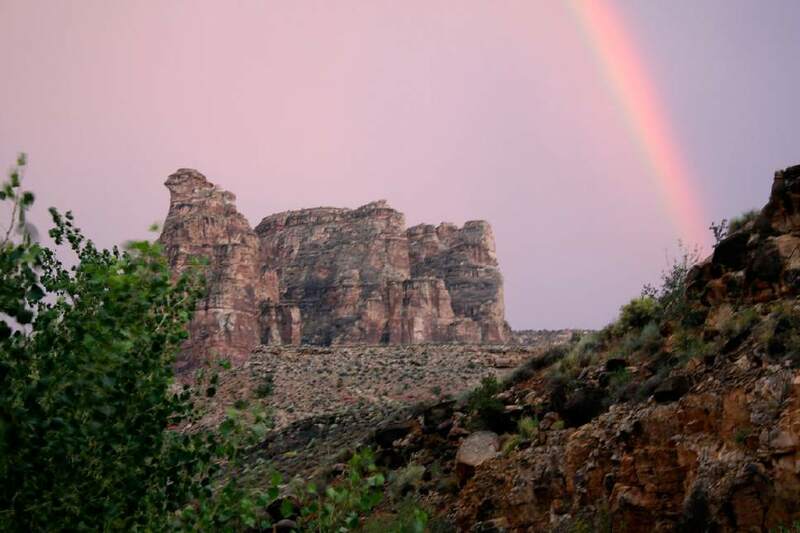 Al Hartmann | The Salt Lake Tribune Rainbow forms at the end of the day in Dark Canyon Wilderness in San Juan County. The area is included for a proposed Bears Ears National Monument. 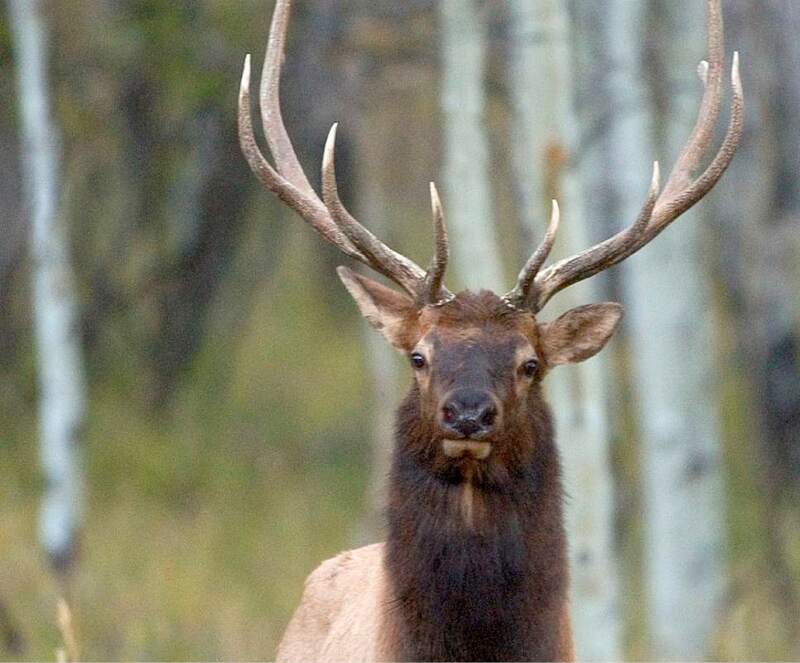 Al Hartmann | The Salt Lake Tribune Bull elk in the high forested plateau country on the Bears Ears of San Juan County. The area has deer, elk, black bear, wild turkeys and mountain lion. The area is included for a proposed Bears Ears National Monument. Brett Prettymann | The Salt Lake Tribune Photographer explores the high forested plateau country near the Bear's Ears in San Juan County. 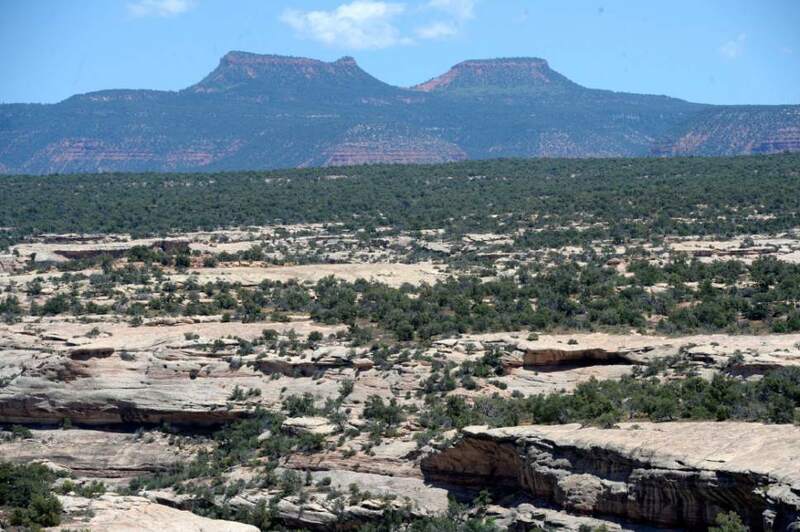 The area is included for a proposed Bears Ears National Conservation Area. 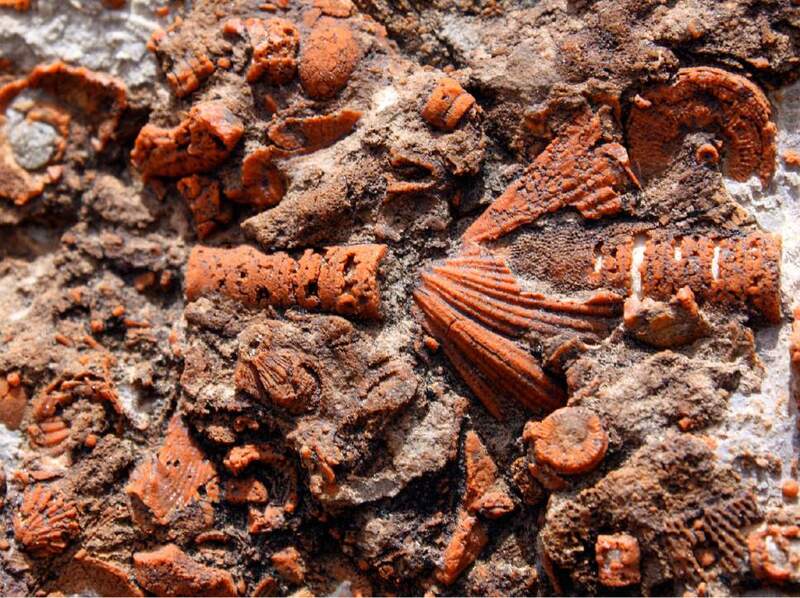 Al Hartmann | The Salt Lake Tribune Fossils embeded in rock in Dark Canyon Wilderness in San Juan County. The area is included for a proposed Bears Ears National Monument. 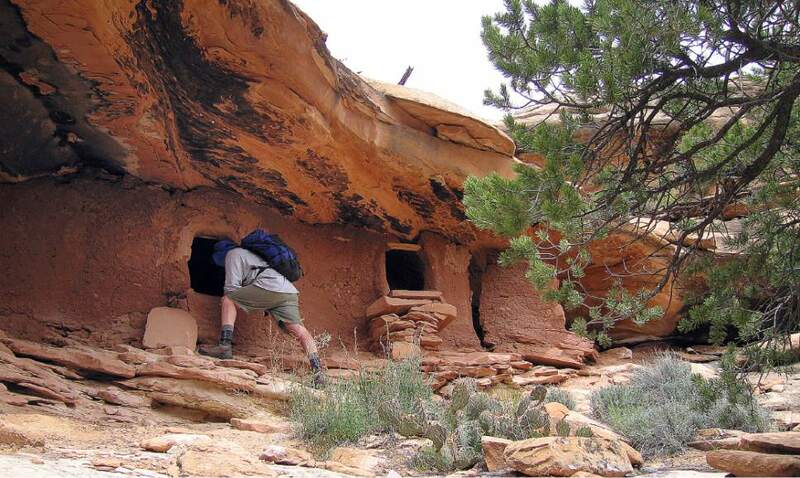 Al Hartmann | The Salt Lake Tribune Backpacker explores an Anasazi ruin under a sandstone alcove in a canyon on Cedar Mesa in San Juan County. The area is included for a proposed Bears Ears National Monument. President Barack Obama on Wednesday protected a sprawling landscape in southeastern Utah that many had either hoped or dreaded would join the outgoing president&apos;s long list of national monuments. The 1.35 million acres of public lands surrounding San Juan County&apos;s Cedar Mesa will be known as Bears Ears National Monument, named after the pair of buttes protruding from a ridge joining the mesa and the Abajo Mountains to the north. What is Bears Ears? Read more here, see how Utahns are reacting and read Obama&apos;s proclamation. Obama made the designation at the behest of five Indian tribes with ancestral and spiritual ties to Cedar Mesa, the highlands west of Blanding where ancient cultural sites abound. The president also set aside Gold Butte National Monument in southern Nevada. That 300,000-acre monument is near the ranch of Cliven Bundy, who stands charged, along with supporters, in the 2014 armed standoff with federal officers trying to seize his cattle. Like Bears Ears, Gold Butte includes "abundant rock art, archaeological sites, and lands considered sacred by Native American tribes," according to a White House statement. "Today&apos;s actions will help protect this cultural legacy and will ensure that future generations are able to enjoy and appreciate these scenic and historic landscapes," Obama&apos;s statement continues. A Bears Ears Commission was also established to work with the federal Interior and Agriculture departments to craft a management plan for the monument that reflects "tribal expertise as well as traditional and historical knowledge," according to a White House news release. There has been broad agreement that the Bears Ears region should be protected, but opinions diverge sharply over the extent of that protection and the mechanism for achieving it. In the works for several years was Rep. Rob Bishop&apos;s Utah Public Lands Initiative  a seven-county "grand bargain" designed to protect some Utah lands, open others to development and circumvent a monument. The PLI was introduced into the U.S. House in July, but Congress adjourned this month without taking action on it. The new monument&apos;s footprint hews closely to the PLI&apos;s proposal for national conservation areas in San Juan County. But Bishop and many other state and San Juan County leaders say executive decree deprives locals of their voice and perpetuates conflict over use of public lands. Utah Sen. Orrin Hatch called Obama&apos;s declaration an "attack on an entire way of life" and an "astonishing and egregious abuse of executive power" that far exceeds the intent of the Antiquities Act. "In the next Congress under President [Donald] Trump, I will do everything in my power to reverse this travesty," Hatch said. He said he&apos;ll meet with Trump&apos;s pick to lead the Interior department, Montana Rep. Ryan Zinke, to discuss reversing the monument, and he and fellow Utah Sen. Mike Lee plan to reintroduce legislation exempting Utah from the Antiquities Act. "This arrogant act by a lame duck president will not stand," Lee said in a statement. "I will work tirelessly with Congress and the incoming Trump administration to honor the will of the people of Utah and undo this designation." According to the White House, Wednesday&apos;s action is an attempt to satisfy both the PLI and a larger proposal from the Bears Ears Inter-Tribal Coalition, made up from representatives of the Hopi Nation, Navajo Nation, Ute Mountain Ute Tribe, Ute Indian Tribe of the Uintah Ouray and Zuni Tribe. Christy Goldfuss, managing director of the White House Council on Environmental Quality, said there has been broad support, including from Utah&apos;s elected officials, to protect the area, with the only difference the size, scope and means to do so. "We are not concerned about a backlash about this designation, given the support for the location and the value and the cultural significance of this place," Goldfuss said on a conference call with reporters. "Of course, there are always political discussions but on the merits, this is the right thing to do and consistent with our designations across the board." Gov. Gary Herbert held a press conference Wednesday to denounce the new national monument, saying Obama left a "little bomb here in Utah" on his way out of office, apparently to punish a state where he has had little support. Obama abused his power to create a record 25 national monuments, Herbert said, likening his actions to a dictator&apos;s. "It&apos;s certainly not the democratic way, it&apos;s certainly not the American way," he said. Utah Attorney General Sean Reyes announced Wednesday he is working with Herbert, the state&apos;s congressional delegation and lawmakers on a lawsuit, "and we are confident in our chances of success." A legal challenge has a good chance, Herbert said, because the Antiquities Act requires creation of monuments as small as possible to protect resources  and the new monument is larger than Delaware and Rhode Island, and 1 million acres larger than Canyonlands National Park, the largest of Utah&apos;s national parks. The monument has "added to the divisiveness on the public land issues that we have here is this state and other states, and the growing unrest that we have here." However, he urged people to avoid any violence and to fight the monument within options available under the law. "We have under the law opportunities for remedies," including Congress passing a law to override the monument, having the new Trump administration reduce or remove the monument or fighting in court. He said he has talked to Vice President-elect Mike Pence about the issue, and expects the incoming Trump administration to look at least at reducing the size of the monument. Herbert said Interior Secretary Sally Jewell called him at 1:45 p.m. Wednesday  a little more than an hour before the monument was announced  to inform him of the monument designation. Jewell agreed with him, he said, that protecting the area through legislation would have been better, but argued that Utah&apos;s congressional delegation failed to pass anything  so the monument was needed. "I disagree," Herbert said, adding it may take longer to pass legislation, but it&apos;s the best way to find compromise and ensure proper protection of all parties. Officials elected to various tribal government posts argued Utah leaders had their chance and failed to come up with a meaningful conservation plan, which left them with no choice but to go straight to the president with a proposal. The Bears Ears Inter-Tribal Coalition identified 1.9 million acres it wanted set aside. The president&apos;s proclamation includes about two-thirds of that, leaving out lands west of Natural Bridges National Monument, including Red and Moki canyons, the Abajo Mountains and some lands around Bluff that are encumbered with oil and gas leasing. But the coalition applauded Wednesday&apos;s announcement. "For the first time in history, a president has used the Antiquities Act to honor the request of Tribal Nations to protect our sacred sites," said David Filfred, Navajo Nation Council delegate. Russell Begaye, the president of the Navajo Nation, said on the White House conference call that the 1.35 million acres protected by Obama is what the tribes "most want" to be preserved. He said other discussions had ranged from 1.2 million acres to 1.9 million acres. The monument&apos;s size is "sufficient" to protect the areas that are sacred to the tribes, "where our people gather herbs and where our people go out and do ceremonial events," Begaye said. Begaye added that Wednesday&apos;s announcement was an "exciting" moment after decades of efforts to preserve the area. "The Bears Ears region is a special, distinctive and significant place to surrounding tribes as well as my nation, the Navajo nation," Begaye said. "These places, the rocks, the wind, the land  they are living, breathing things that deserve timely and lasting protection." Longtime monument proponent Mark Maryboy  a former San Juan County commissioner and former member of the Navajo Nation council  said he believed the monument designation would protect the cultural importance of the land while also preserving it for the use of all Americans for generations to come. "This monument is for everybody," he said. "It belongs to everybody. Its land will be protected for our generation, and many more generations to come." Maryboy said there was a Navajo prayer ceremony on Wednesday in which they implored Mother Earth and the Navajo gods to protect the designation and prevent Trump from reversing the decision. A bigger celebration is planned for Jan. 7. While many residents of tourism-dependent Bluff supported the monument push, most in Blanding and Monticello have been steadfastly opposed. "I don&apos;t know why anybody would want to lock up all the resources in this country so that we can&apos;t use them, and that&apos;s what they&apos;re doing," said Val Dalton, a San Juan County rancher who has grazing allotments within the monument. The monument&apos;s proclamation preserves existing rights to mine, drill and graze within the monument, but Dalton says he is worried about what the future holds for his children, who will inherit the family business. It is already difficult to make a living in San Juan, he said, "because we can&apos;t use our resources. We&apos;re locked out of them, and they want to lock us out of more and more of it. ... I hope somebody can undo it." Toni Turk, a former mayor of Blanding, called the monument designation "an overreach" by Obama. "If they really wanted to just concentrate on the Indian ruins, which is what the Antiquities Act is about, that would have been one thing," he said. But 1.3 million acres is "excessive," he said. "I&apos;m not surprised. I expected it," Turk said. "And I also expect it will be a casualty of a President Trump administration." When told there is little legal precedent for overturning a national monument, Turk said, "Yes, and there&apos;s no precedent for Donald Trump, either." With Bears Ears, Obama has invoked the Antiquities Act at least 27 times, setting aside more land, ocean and historic sites for conservation than any other U.S. president. 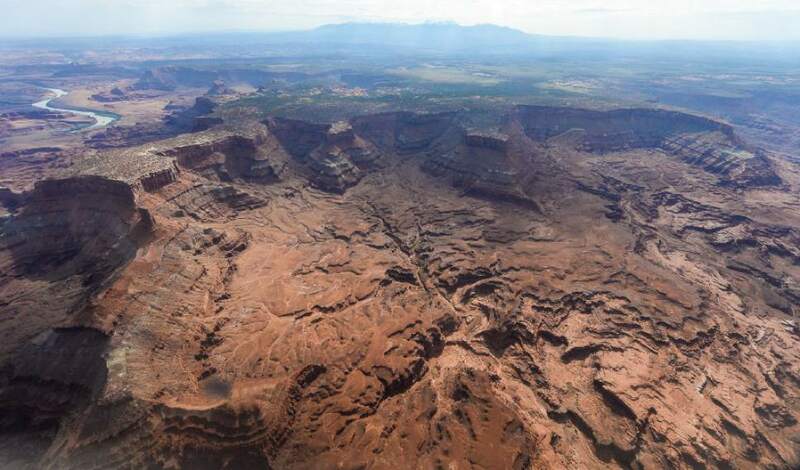 Not including Bears Ears, 12 Western-state landscape-level monuments have been created in the last five years, covering nearly 4 million acres. The Bureau of Land Management will administer Bears Ears, which is to be added to the National Landscape Conservation System, or the NLCS. This 27-million-acre network of protected Western lands includes monuments, wilderness, Wild and Scenic rivers and historic trails. Utah&apos;s new monument is among NLCS&apos;s largest, though smaller than Grand Staircase-Escalante National Monument, the inaugural piece of the NLCS. Clinton&apos;s surprise designation in 1996 of this monument rankles southern Utahns to this day, and the monument&apos;s alleged stifling of economic development has been repeatedly cited in the case against Bears Ears. Turk said he expects that Grand Staircase "will also be given a very close look" and be "turned back as well" during Trump&apos;s tenure. Don Peay  founder of Sportsmen for Fish and Wildlife, who led the effort to elect Trump in Utah  says Obama&apos;s Bears Ears designation "reminds us how grateful we are that Trump won." "I don&apos;t think public lands in the West could have survived eight years of Hillary Clinton," he added. Peay said he expects the Trump administration will work with Congress to minimize the acreage of the monument and ensure local input. Obama&apos;s action, he said, plays into the "broader narrative of why people in smaller communities and non-urban centers didn&apos;t like Obama or Clinton. "I can hardly imagine the Trump administration taking an action that is opposed by every elected official in the state," Peay added. "It&apos;s just classic Washington, D.C., politics that doesn&apos;t care about the local people." The monument includes roughly 109,000 acres of state school trust lands, according to The Utah School and Institutional Trust Lands Administration (SITLA). Those areas remain part of SITLA&apos;s 3.3-million-acre management portfolio, but are now blocked from development, SITLA spokeswoman Deena Loyola said, limiting the amount of revenue that can be generated for public schools. SITLA awarded roughly $50 million to Utah schools this year. Loyola said it is not yet known how the designation will affect the value of the $2.1 billion Permanent State School Fund, or the annual payments made to schools from the fund&apos;s earnings. 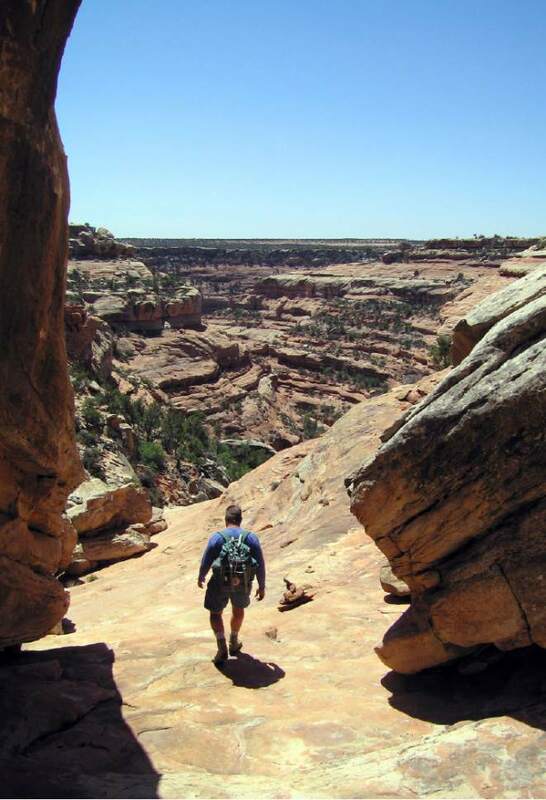 Last year, the Utah Board of Education passed a resolution requesting that new monuments in the state include a land-swap or payment to the Permanent State School Fund, a precedent set in 1999 following the designation of the Grand Staircase-Escalante National Monument. Obama&apos;s Bears Ears proclamation specifically outlines a process for transferring BLM acreage to SITLA. In a prepared statement, SITLA Director David Ure said Utah&apos;s education system must be fairly compensated for the lands captured by the Bears Ears designation. "We are disappointed that this designation happened through unilateral executive action, rather than through negotiation and compromise," Ure said, "but SITLA will work in good faith to determine if an exchange agreement is possible and in the best interests of the school trust beneficiaries." Tribune staffers Dan Harrie, Tony Semerad, Lee Davidson, Benjamin Wood and Emma Penrod contributed to this story.